Are you looking to learn how to use Infinix Flash Tool to flash stock firmware or ROM on any Mediatek smartphone and tablets? The Infinix Flash Tool is a PC software used to flash any type of ROM on android phones using MTK (Mediatek) processor. This application is similar to SP Flash Tool and works perfect for installing new firmware too. Alternatively, you can use SP FLASH TOOL if you’re not able to download and install Inifnix Flash Tool on your PC. 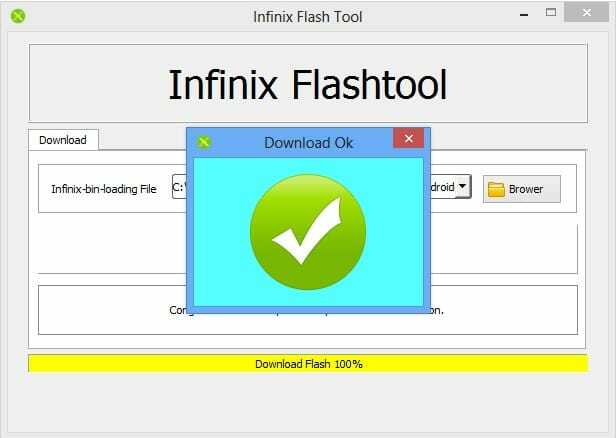 Today’s post is all about Infinix FlashTool, so I will share with you a simple beginner guide on how to use Inifnix Flash Tool for the first time. 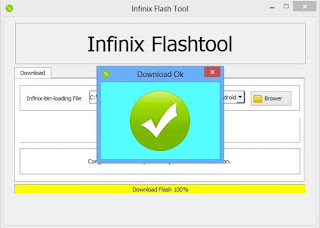 Extract and install Infinix_Flash_Tool.zip on your PC. (This file is compressed in.zip format, so you’d need a WinRar or other zip extractor to extract the file within). Also, extract Infinix or other MTK devices’ stock ROM you wish to flash. In the window that pops up, navigate to the stock ROM folder, select the SCATTER FILE and click Open. (The file path should now appear in front of Infinix-bin-loading File) » Click Start. Start should now be grayed out and Stop green in color. Turn off your phone and connect it to the PC using a good USB cord (with battery inside); flashing should begin immediately. TAKE NOTE: DO NOT INTERRUPT FLASHING. IF YOU ACCIDENTALLY DO AND THE PHONE GOES DEAD, THEN YOUR PHONE MIGHT NOT PASS THE BOOT ANIMATION (THE INFINIX LOGO) WHEN TURNED BACK ON. WITCH SIMPLE MEANS IT HAS BRICKED!!! You should get a green OK prompt upon completion. Disconnect your phone then boot it. If the phone gets stuck at logo (and you flashed the correct ROM) then removed the battery and slot it back in. If the battery is inbuilt then do a factory reset in recovery mode. That’s pretty much it. Credits to Hovatech for the images & video. And more credit goes to Infinix Mobility, LCC who created and solely distributed by Infinix Flash Tool. So, full credits goes to them for sharing the application for free. Kindly let us know via comment box if you’re not able to flash your MTK phone using the Infinix Flash Tool guide above.